Frank Edward Ortman, 67, Kokomo, passed away at 9:07 a.m. on Saturday, August 4, 2018, at his home. He was born April 21, 1951, in Kokomo, to Verlin E. and Marie (Vent) Ortman. On June 19, 1971, he married Carol J. Alexander, at the Upper Deer Creek Church in Galveston, and she survives. Frank graduated from Western High School in 1969 and attended Indiana University Kokomo. He served in the United States Air Force Reserves, attaining the rank of E7, and worked for Haynes International for 21 years before retiring on April 30, 2017. 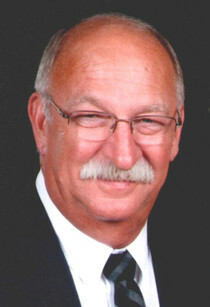 He enjoyed camping, fishing and antique shopping, and he loved watching his grandchildren in all their sporting events. He served as sheep superintendent for the Howard County 4-H Exhibit Association and was a member of Judson Baptist Church and the New London Masonic Lodge #283. In addition to his wife, Carol Ortman, he is survived by his mother; son, Kenneth Ortman and his wife, Patty, and their children, Tessa and Conner; daughter, Janelle Robinson and her husband, Scott, and their children, Alexis, Austin, Addison and Aiden; brothers, Verlin “Lin” Ortman, Jr., and his wife, Jane, and Roger Ortman and his wife, Margarette; sisters, Carol Zastrow and her husband, Dan, and Tina Smith and her husband, Roger; and several nieces and nephews. Funeral services will be held at 10 a.m. on Wednesday, August 8, 2018, at Stout & Son Funeral Home, 200 E. Main St., Russiaville, with Pastor Gary Britton officiating. Burial will follow in Galveston Cemetery. Friends are invited to visit with the family from 4 to 8 p.m. on Tuesday at the funeral home, where a Masonic service will be held at 8 p.m. Memorial contributions may be made in Frank’s memory to the Howard County 4-H Exhibit Association. Messages of condolence may be left online at www.stoutandson.com.